Should a videogame music composer write a book about the trade that’s completely inside baseball? Or should it be more readable, a tome that appeals to the general public as well as to musicians. If it’s the latter, the writer walks a dangerous tightrope. He or she risks alienating the core with generalizations and disaffecting the wider audience by being obtuse about the craft. Yet in “A Composer’s Guide to Game Music” (MIT), Winifred Phillips, who’s worked on the Assassin’s Creed and God of War series, chooses the latter. The results are generally positive. While I could have done without the revisiting of the question, “Are games art?”, I understand it’s there to explore the way we are now in the world of games. 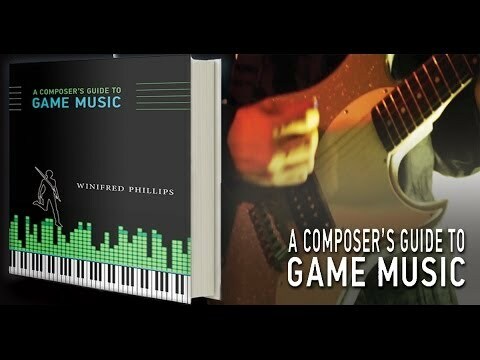 What’s more important about Phillips’ book is a full explanation of how to make it in games as a composer. Particularly, I enjoyed learning about the jargon and lingo, like the stinger, a short piece of games music lasting but a few seconds that, among other things, is intended to raise emotion like wariness or unveil a clue that helps you move forward. But the idea, presented very early on, that game musicians should be fans of the popular art they would potentially purvey almost goes without saying. I’d venture to say that few people in the arts disdain their chosen medium. So words like these diminish the flow of a work that has some very good tips along with insightful details on game-making and process. Once you dive in, you’ll find there are potent words about the history of game music as well. I think I’m going to have to check this out ASAP.